Holiday Morning French Toast...it must have been a holiday somewhere. So you all know by now I love french toast. 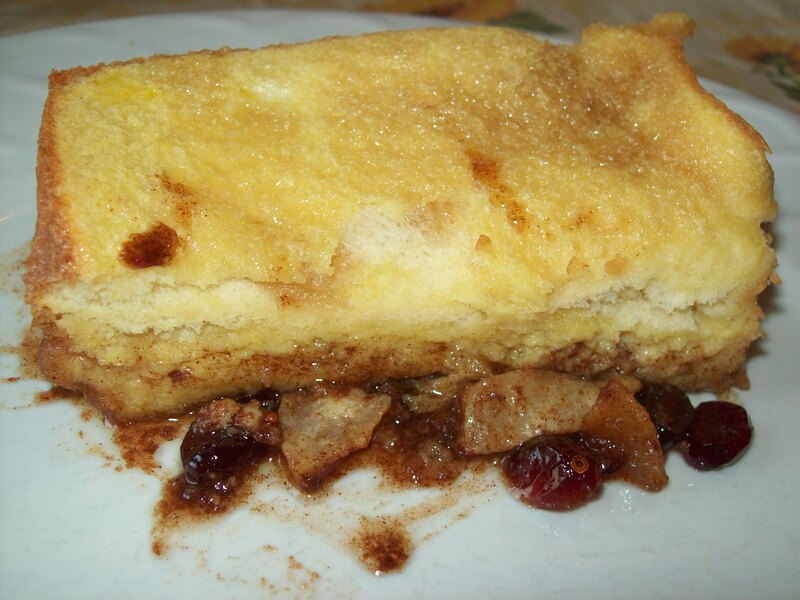 I especially like the convenience (as well as all the brown sugar) of an over night french toast. A while back I posted my cousin Kim’s version, which we’ve made for years, and today I’m posting her mom’s version, my Aunt Fran. I’ve had this recipe so long, it’s dog-eared, and yet I’ve never made it myself. I’ve only ever had it when she’s made it. But, it’s got all my favorites in it: brown sugar, cinnamon, apples and craisins, so I have been wanting to make it myself for quite some time now. Friday night was that time, but by the time we got home and got everyone to bed and I got started it was late, 10pm. Note to self: Don’t try a new recipe late at night. I made several mistakes in my night time prep, which I’ve noted below. And, we ended up sort of combining the ending steps of Kim’s recipe with Fran’s, which I’ve also noted below. Either way, Saturday morning it was great to wake up to an already almost finished breakfast. We just had to throw it in the oven and we were good to go. Everyone gave it a thumbs up, always a good sign. Here’s the recipe including my mistakes and adjustments at the end. 1/2 cup dried cranberries or raisins. I used craisins. Here is my version of apples and craisins "tossed" in the butter and brown sugar. Slice early for better tossing! 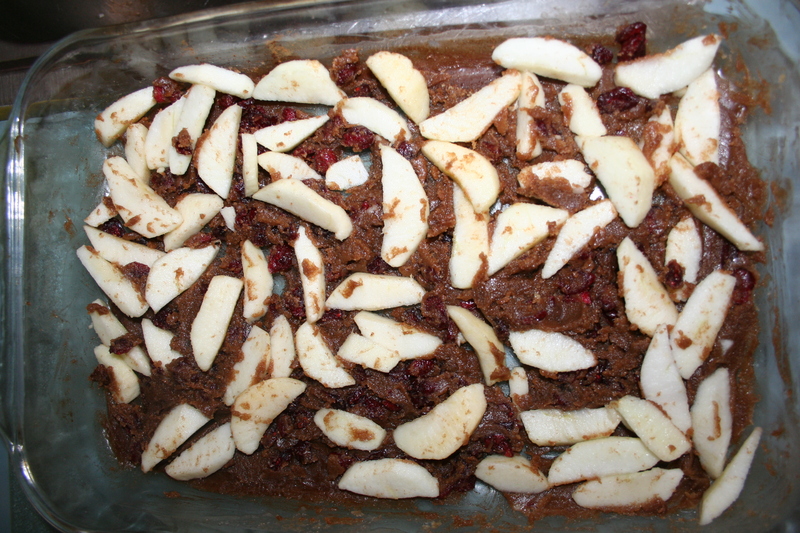 Spread apple mix evenly over bottom of baking dish. Arrange bread on top. Pour mixture over bread soaking bread completely. Cover and refrigerate 4-24 hrs. Bake covered with foil in a preheated 375 degree oven for 40 minutes. Uncover and bake five minutes. **Here is where we combined the two recipes. We squirted maple syrup over the top of this one, even though it doesn’t call for it, baked it for a few more minutes, and then broiled it for about 5 minutes to crisp it up. Remove from oven, let stand five minutes. Serve warm. Whipped cream optional.